Goalie Niklas Backstrom is done in the National Hockey League. The 38-year-old from Helsinki has signed a one-year contract with HIFK Helsinki in the Finnish Liiga, marking the first season he’s spent in Finland since the 2005-2006 campaign when he played with Karpat. Most people will remember Backstrom for his tenure in Minnesota, where he debuted in the 2006-2007 season and quickly carved out a path as the team’s starter. He was a late bloomer and didn’t start his NHL career until the ripe age of 28, but he played some fantastic hockey for the Wild. Backstrom’s best season arguably came in 2008-2009, when he started 71 games and won 37. He posted a goals against average of 2.33 with a save percentage of .923, plus he managed eight shutouts. Backstrom impressed in his debut season as well, with a career-best 1.97 goals against average in 41 games. Unfortunately, he wasn’t exactly destined for a long-term NHL career and Backstrom fizzled out after just a few quality years in Minnesota. He spent his last Wild years as part of a three-goalie rotation with Devan Dubnyk and Darcy Kuemper and wound up losing out. 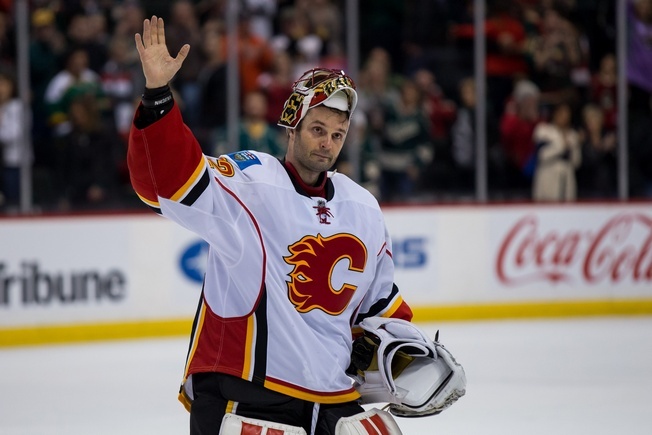 He was shipped off to the Calgary Flames for his final four games. In perhaps a case of justice, Backstrom’s final NHL game wound up being against the Wild. He suited up for the start on April 9, posted 35 saves, allowed a goal, and received a standing ovation from the Minnesota faithful. And that was that. “If this is the end, it’s a great way to end,” Backstrom said after the game. In 413 NHL games, Backstrom posted 196 wins. He has a lifetime goals against average of 2.49 and a save percentage of .914 with 28 career shutouts. He is Minnesota’s all-time leader in wins, shutouts and games played and remains an undeniable part of that franchise. Despite playing for such a brief period of time, relatively speaking, Backstrom certainly made his mark on the state of hockey.